A database is a collection of data that is stored systematically inside a computer. Data in the database need to be processed or manipulated further using an application to generate the useful information. The database is an important aspect of the information system that acts as the warehouse to store data. The database can organize data, avoid duplicate data, avoid unclear data relationships as well as complex updates. The process of retrieving data from and entering data into the database requires the software called DBMS. A DBMS is a software system that enables the database administrator (DBA) to maintain, control, and access data in a practical and efficient manner. In other words, the DBMS handle all the accesses to the database. The DBMS is a layer that connects the database and the application program to make sure that the database remains well organized and accessible easily. The DBMS is responsible for handling several functions such as processing the data definition, handling user requests for data access, security checking and enforcing data integrity defined by DBA, handling the failure in accessing data and performance of all functions efficiently. The DBMS provides the abstract data review to the database users, so the system hides any information about how data is stored, maintained, and accessed efficiently. The flat-file database is ideal for the small amount of data and easy to be changed. Basically, the flat-file database is a set of strings in one or more files that can be parsed to obtain the useful information. The flat-file database is suitable for storing simple lists or data in small amounts. The weakness of the flat-file database is vulnerable to the data corruption due to the absence of inherent locking and the data duplication that is difficult to avoid. One type of the flat-file database is CSV file. The relational database has a more logical structure if it relates to data stored. The relational database uses a set of two-dimensional tables which each table composes of rows and columns. The relationships between two or more tables require key attributes that are a primary key in one table and a foreign key in another table. Currently, the relational database is the best choice for data management. 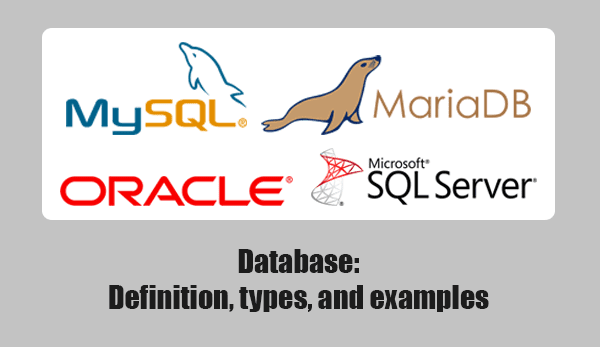 The following are some of the most widely used databases today. MySQL is the most popular open source database for web-based applications such as dynamic websites or e-commerce. MySQL is one of the most widely used databases in the world and the first for the open source databases. MySQL was created in 1995 by Michael Widenius, David Axmark, and Allan Larsson. MySQL has become the database option that is efficient, trusted, and reliable. In 2000, MySQL platform changed to open source and followed the GPL provisions. Many web applications use MySQL as their database solution and integrate it with PHP as an object-oriented scripting language. 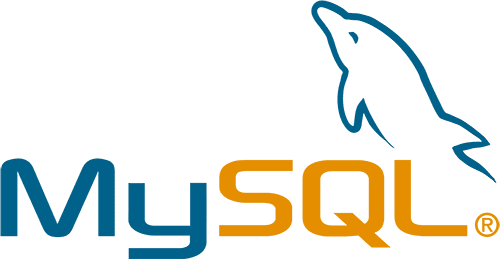 MySQL is also one of the important components of many web service solution stacks such as a LAMP, XAMPP, MAMP, WampServer, and AMPPS which are all the open source web development platform. If you create a website using a CMS like Joomla, Wordpress, or Drupal, this CMS also uses MySQL as its database solution. In January 2008, Sun Microsystems acquired MySQL. In April 2009, Sun Microsystems and Oracle Corporation reached an agreement regarding the purchase of Sun Microsystems along with the copyrights and trademarks of MySQL by Oracle. In January 2010, Oracle acquired MySQL officially. Under the Oracle ownership, MySQL is available in double licenses, open source (GPL) and commercial. Oracle is a leading relational database owned by Oracle Corporation. Oracle is the best database for a commercial database version. Oracle itself is available in various configurations with customizable tool coverage for all company sizes ranging from the small to large-sized companies. Some people say that Oracle is considered better regarding its performance and scalability than other commercial databases. The first version of Oracle was developed by Software Development Laboratories (SDL) in 1977 in which there was Larry Ellison, Bob Miner, and Ed Oates. In 1979, for the first time, the commercial version of Oracle database released. Now, the latest version of Oracle is Oracle 12c. The c in 12c stands for cloud computing that allows companies to manage their Oracle databases as the cloud services. 3. Microsoft SQL Server database. From the name, you can easily guess who the owner of the database is. Microsoft is a giant software that is very famous for its software. Microsoft owns many types of software from operating systems, office application, antivirus applications, programming language suite, and also databases. Microsoft's database for enterprise-class is Microsoft SQL Server that is a commercial relational database. Unlike Microsoft Access database that has more limited features and runs on the desktop computers, Microsoft SQL Server supports a wide variety of transaction processing, business intelligence (BI), and analytics applications. An early history of Microsoft SQL Server began when Microsoft and Sybase joined to develop a DBMS called Sybase SQL Server to compete with the existing databases such as IBM and Oracle. In 1989, Microsoft and Sybase released the first database. Sybase then sold the copyright to Microsoft and Microsoft renamed the database to Microsoft SQL Server. Many companies run their computer servers using Microsoft Windows Server operating system. Microsoft SQL Server is certainly an option for Microsoft Windows Server because of having been integrated. Now, the latest version of Microsoft SQL Server is Microsoft SQL Server 2016. Microsoft SQL Server 2016 is available as the on-premises and cloud database platform and comes with the new features and enhancements that provide breakthrough performance, advanced security and reporting, and integrated analysis. You may not hear much about this database. MariaDB is a fully open source relational database system. All of the MariaDB database source codes are under a GPL or an LGPL license. MariaDB is actually a fork of MySQL database. The fork here means another version of the MySQL standard. The developer of MariaDB was Michael Widenius who has left Sun Microsystems when acquired by Oracle. The popularity of MariaDB continues to increase. The latest stable release of MariaDB is version 10.1 which is also known as MariaDB Enterprise 2016. In the latest stable release, MariaDB has much better protection by applying database security on every layer. MariaDB can detect and prevent attacks by using encryption, authentication, user roles, password validation, and security notification.